This article originally appeared on NatGeo’s Intelligent Travel blog on Jan. 2, 2013. When I think about my city, the song that comes to mind is ”White Winter Hymnal” by Fleet Foxes. 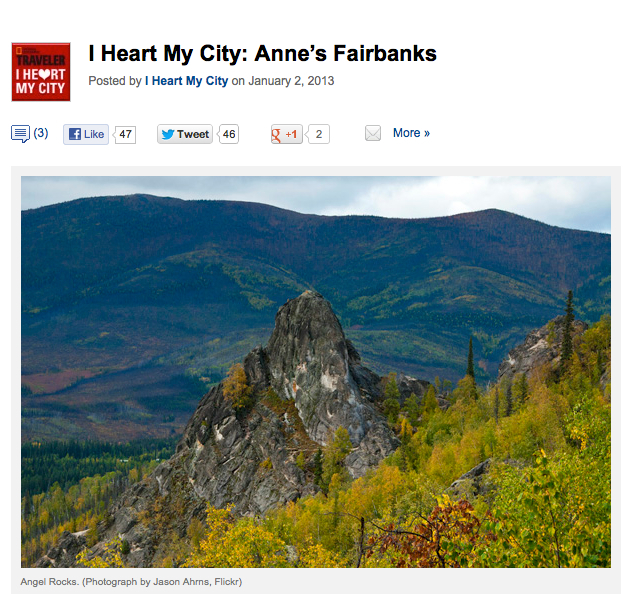 Anne, you did indeed capture the finer points of “our” city. on another topic: can you contact me? I have a medium format camera, Rolleiflex you once told me you were looking for such. This entry was posted on January 8, 2013 by AK in alaska, Fairbanks, tips and tagged alaska, Fairbanks, intelligent travel blog, natgeo, tips, travel.